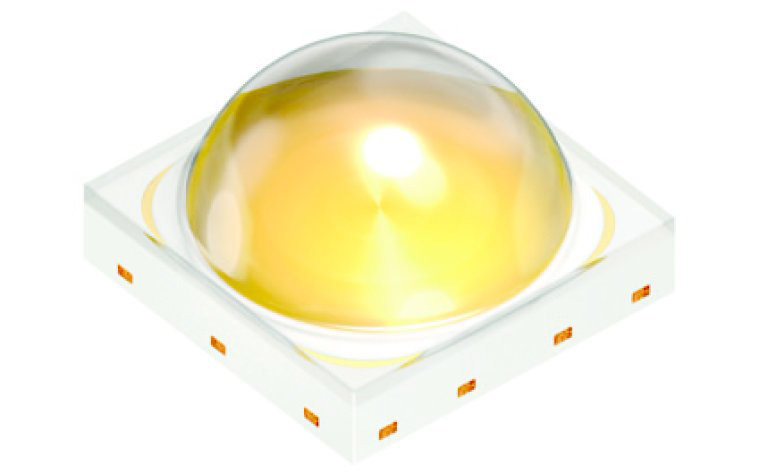 RS Components has expanded its lighting portfolio and introduced a series of high-power LEDs from Osram offering innovative packaging. Rather than using costly ceramic-based packaging for professional exterior lighting applications, the Osram Osconiq P series high-power and ultra high-power LED employs epoxy-based packages which offer outstanding reliability, long-term performance and excellent light output. Osram leveraged its experience in automotive markets and combined its lead-frame technology with its high-power chip capabilities to deliver a wide range of mass-market lighting applications including in the architectural, industrial and agricultural sectors. The series includes the P2226, P3737 and P7070 families. The P2226 is a white and colour LED series offering a full mid-power colour portfolio with high levels of corrosion resistance. The family also combines a compact package with a footprint of only 2,6 x 2,2 mm along with high performance and wide current and temperature operating ranges.